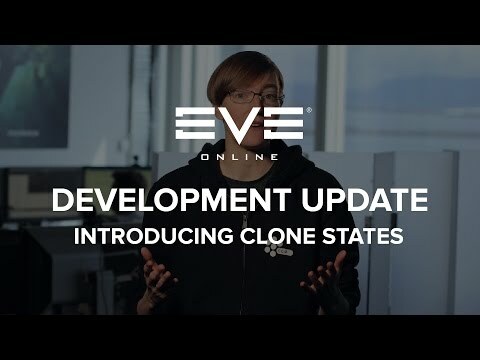 EVE Online, launched over 13 years ago way back in May 2003, is introducing the concept of Clone States as a way of introducing free to play systems to the game. CCP Seagull goes over the concept in broad strokes in the video above. The basic idea is that characters, clones, can be in two states, an 'Alpha' free to play state and an 'Omega' upgraded state. Alpha level clones have a limited pool of skills depending on their race, but are intended to be able to partake in a broad set of game activities whilst capping the ceiling of what these characters can do. Omega level clones act just like current player clones with the ability to learn any combination of skills allowing you to use any ship or feature in the game. You can upgrade all Alpha clones on your account to Omega clones at any time by simply subscribing or by using the ingame PLEX items to add time to your account. This two-tier system is expected to go live in November and you can find out a lot more detail about the system and its quirks in the Dev Blog over on the EVE Online Community site here.